Our first night at The Macbeth went really well. Thanks to everyone who came down! I posted a few pics here. 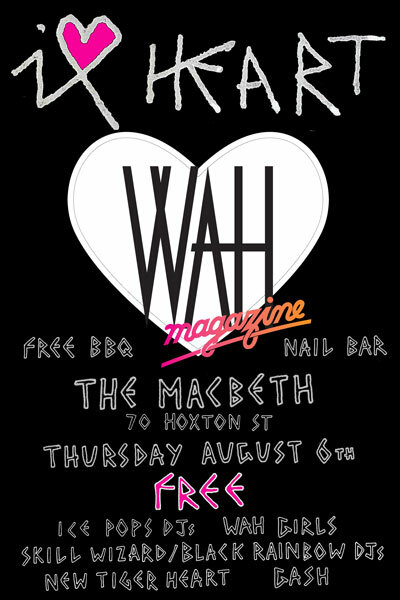 Coming up next month we have I heart WAH, so come again, eat free food, get drunk, get your nails done, grab a copy of the new WAH zine, dance while the WAH girls spin some tunes!